A young artist sets out from home to find adventure as an aging painter struggles to let go of his dreams. Set to Overture to Tannhäuser by Richard Wagner. Check out our production stills on Facebook, and download our EPK here. Erin E. McGuff is a writer and an actor who loves Ireland, the Titanic (1912–2012), and tea. Originally from Pearland, Texas, she graduated from NYU’s Tisch School of the Arts and has been performing and writing in NYC since. This past year she co-wrote the script for the upcoming documentary, Hiding in the Spotlight, a Global Vision Group production, and you can read one of her plays, A Refusal, at LiteraryLaundry. She is also a contributing columnist for the award-winning site, Woman Around Town. When not acting, writing, or teaching, Erin can usually be found in a bookstore, park, or indulging in Downton Abbey. Tony Head returned to New York in February of 2014 from the Washington D.C. area to create the role of Henry in the critically acclaimed new play “Hounds of War” which opened at the Abingdon theatre. Since then he appeared in the co-lead role of the new independent film “Destiny Jones” and is costarring in the upcoming crime thriller “The Nocturnal Attorney” shooting in July. 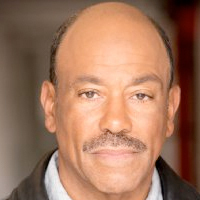 He played Bobby Reed in the very popular HBO series “The Wire” and has worked in numerous recurring roles for daytime and primetime TV. Tony has also appeared in numerous network commercials… Tegrin, Nuprin, Stohs Beer, the U.S. Post Office and many others. Tony is a Meisner trained actor and gives thanks to Ted Bardy, Glen Vincent, Vera Katz and all the other people in his life who helped him get back to New York to do what he loves.